In December 2012, the government designated North Lotts and Grand Canal Dock in the Dublin Docklands as a strategic development zone (SDZ). Dublin City Council was tasked with developing an overall masterplan for the 22 hectare site, and by May 2014 - just 18 months later - it was complete and approved by the planning appeals board. SDZ designation allows for a fast-track planning process, with any scheme in line with the masterplan benefiting from a speedy approvals process. The idea is to get strategic landbanks developed quickly, which has largely happened in the Docklands. Contrast that with the fortunes of Poolbeg West, home to the infamous Irish Glass Bottle site and one of the prime housing sites in the capital. 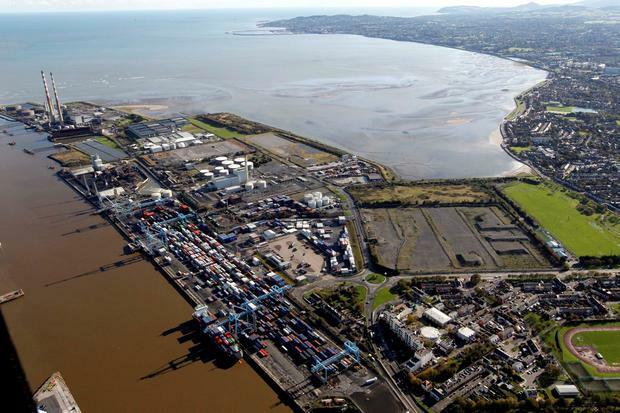 In May 2016, the Government designated the 34 hectare site as a SDZ, with the-then housing minister Simon Coveney suggesting it could be quickly developed to deliver as many as 3,500 homes for 8,000 residents, as well as commercial space providing employment for 8,000 workers. By January the following year, Dublin City Council had produced a draft planning scheme, which was approved the following October. But it was appealed to An Bord Pleanála, which held an oral hearing last April. It was due to make a final decision by July, but things have not gone according to plan. The planning appeals board wants more information about the scheme, meaning that despite more than two years passing since it was first announced, there is still no approved masterplan needed to kick-start the process of delivering new homes. An Bord Pleanála spent much of recent times without sufficient board members, meaning its ability to take decisions in a timely manner was hampered. But given that an oral hearing took place last April, it seems incredible that it has taken five months for the board to seek the additional information needed to make a decision. There are questions as to why this information wasn't sought at an earlier stage. While the council has committed to providing it by the January deadline, that's not to say it will be enough to get the scheme approved. Further delays could also arise if the board decides to re-open the oral hearing. While all this drags on, housing and rental costs in the capital continue to rise. In addition, 9,527 people accessed emergency accommodation last month. While a row is ensuing about how homeless numbers are counted, the fact is that too many people need somewhere to live. No agency involved in the provision of housing comes out of this well. It's another reason why people are taking to the streets to protest at the lack of progress in solving this long-running crisis. The fact that Poolbeg cannot be developed in a timely manner doesn't inspire confidence it will be addressed any time soon.